Miami Art Scene™ is proud to announce the launch of MIAMI ARTIST™ - an exclusive online art gallery and pop-up venue dedicated to showcasing and selling the artwork of Miami's hottest artists worldwide. MIAMI ARTIST™ is a new art platform focusing exclusively on Miami's talent, revering the artists of this dynamic city - for it is these artists who collectively embody the essence and culture of Miami's vibrant, exciting art scene. MIAMI ARTIST™ offers an extensive collection of artwork by Miami's established and emerging talent. Our mission is to provide quality artwork of all mediums and styles ranging from urban to modern contemporary, while supporting the local artists and Miami's thriving art community. Artist submissions can be made via the website www.miamiartistgallery.com - we are launching this Spring! Connect with us on Facebook, Twitter, Instagram and Pinterest for the latest art & info. from Miami's hottest talent. Email miamiartistgallery@gmail.com with questions or inquiries. Miami Art Scene's monthly 'Floor Up' art exhibits in Dania's Design District are receiving rave reviews and tremendous turnout. We are hosting our art showcase and featuring the work of artists on the first Friday of each month at our exclusive design venue located in the Dania Beach Design District. Our inaugural monthly First Friday Art & Design Night on Feb.7 was wildly successful. We are calling all artists to participate and showcase their work with us for our upcoming exhibits where art and design intersect. Each month we will be hosting an open house art exhibit with stunning artwork on display accompanied by wine and hor d'oeuvres. The event is attracting interior designers, buyers and art brokers during Dania Design District's citywide Design Night. For consideration please send 3-5 images of your work (keep in mind that the showroom is huge with 8 foot ceilings - so the larger your work is, the better) - the pieces you submit may be stretched canvas or framed, but they must be ready to hang. 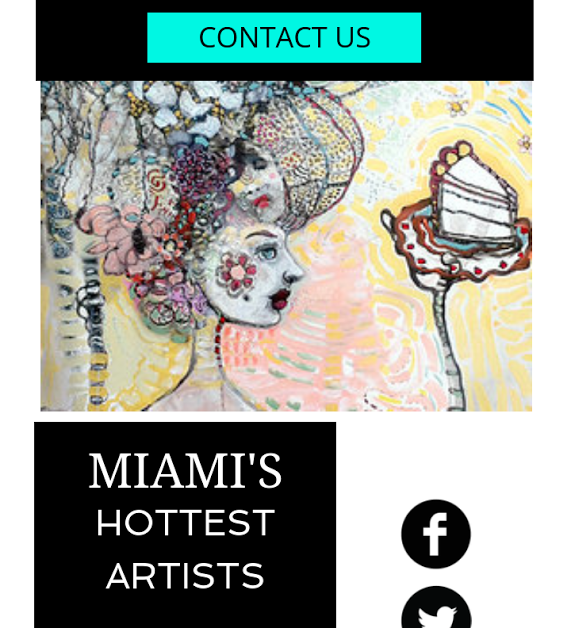 Include your contact info, artist statement, bio and a link to your professional website to Kat Wagner at Miami Art Scene via miamiartscene@gmail.com. 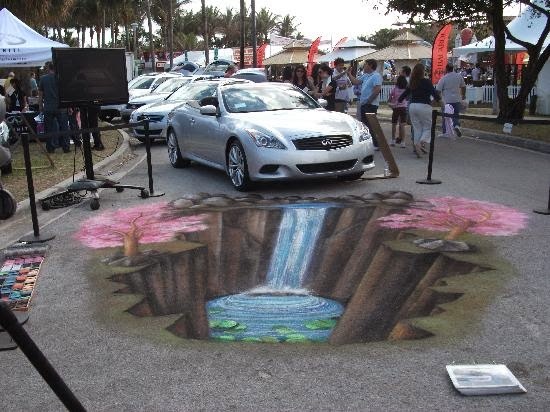 The Coconut Grove Arts Festival (CGAF) is upon us this President's Day weekend, February 15-17, 2o14. It is a 3-day event showcasing the work of over 36o fine artists and craftsmen. Visitors can enjoy the village of Coconut Grove while viewing some of the finest local and international art, feast on scrumptious foods and groove to live music. The festival will feature artwork in the form of paintings, ceramics, jewelry, digital art, pottery and much more. For the price of a ticket, visitors are free to wander the charming streets of the Coconut Grove village and delight in visual art. They can also enjoy the pop-up stage in Peacock Park that features local bands, smooth jazz soloists, Americana rock bands and Latin fusion musicians. 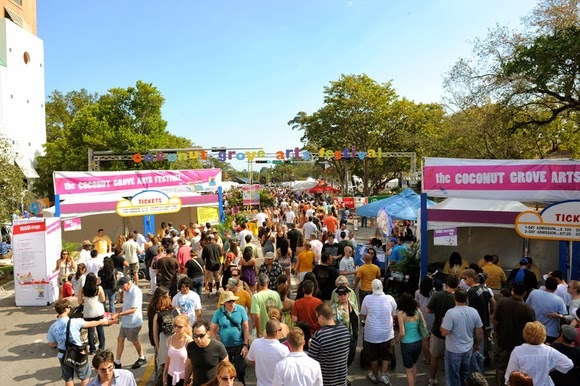 Entrance to the Coconut Grove Arts Festival is on McFarland Road, and continues down South Bayshore Drive and into Pan American Drive. Nearly one mile of art, food and fun - the gates open at 10am. and close at 6pm. - general admission is $15 per person. Free admission for children ages 12 and under. 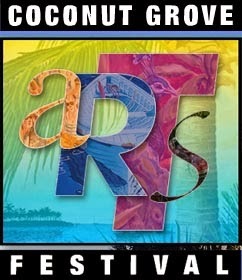 The festival is produced by the Coconut Grove Arts & Festival Historic Association, Inc., a non-profit organization that receives no commission from the sale of artwork. A portion of the proceeds from the festival admissions benefits the Coconut Grove Arts & Festival Historic Association, which funds year-round arts programs benefiting a scholarship fund that creates opportunities for Miami-Dade County's talented students to continue their art education. The Association also maintains the Coconut Grove Arts Festival Gallery I and II, and presents special exhibitions throughout the year. Since it's inception in 1963, the Association has awarded more than $1oo,ooo in scholarships to students who attend fine arts programs. 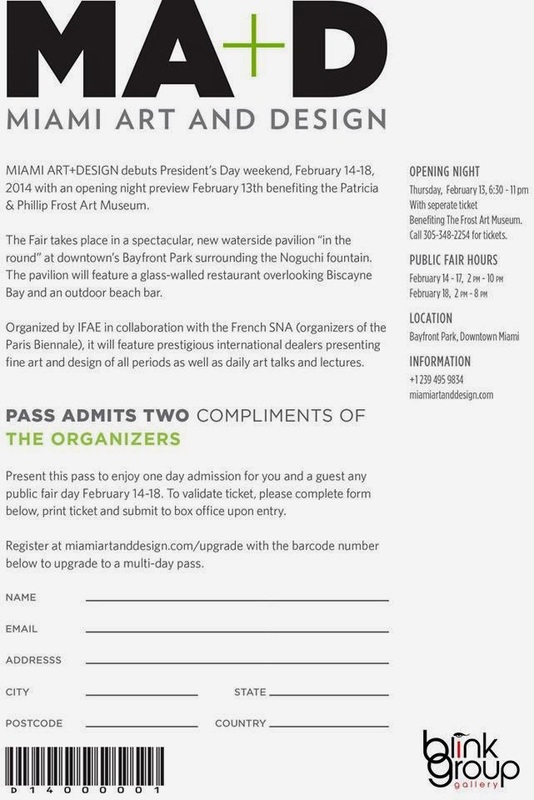 Miami Art + Design (MA+D) premieres President's Day weekend, February 13-18, 2o14. This prestigious international art fair will take place in a spectacular, new waterside pavilion 'in the round' at Downtown, Miami's Bayfront Park. Organized by IFAE in collaboration with the French SNA, organizers of the Paris Biennale. The MA+D is Miami's most elegant fine art event featuring select international art dealers who will be presenting art and design from all periods. Miami Art + Design will feature the best of American and European art and design. The Opening Night Preview is Thursday, Feb.13, 2o14 and benefits the Patricia & Phillip Frost Art Museum at Florida International University. 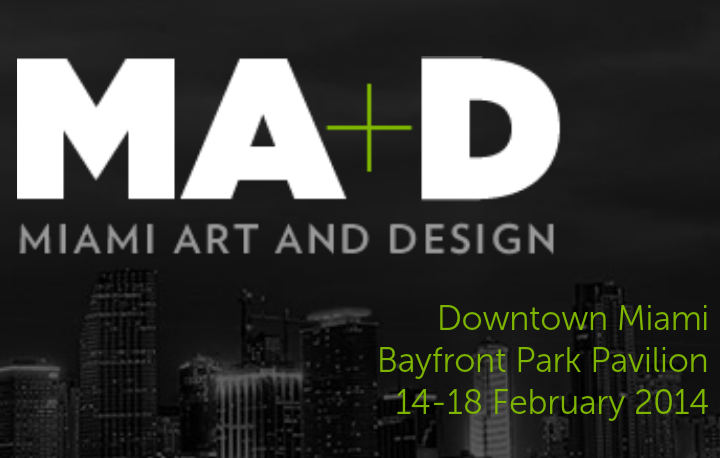 MA+D takes place at the Bayfront Park Pavilion located at 3o1 Biscayne Boulevard in Miami, Florida 33131. The enclosed invite offers one day admission on any public fair day Feb.14-18, 2o14 for you and a guest, courtesy of the MA+D fair organizers. 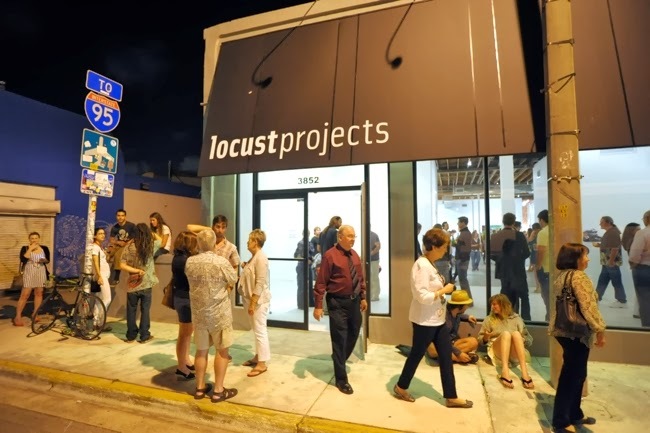 One of Miami's premier not for profit contemporary art exhibition spaces, Locust Projects, has received a grant from The Andy Warhol Foundation for the Visual Arts to support its 2o14-2o15 programming. Locust Projects is dedicated to providing contemporary visual artists the freedom to experiment with new ideas without the pressures of gallery sales or limitations of conventional exhibition spaces, it has been supported by the Andy Warhol Foundation since 2oo6. Locust Projects was founded in 1998 by a trio of Miami-based artists: Elizabeth Withstandley, Westen Charles, and COOPER - the organization was among the first to open in a converted warehouse in Miami's Wynwood Arts District. A grant from The Andy Warhol Foundation for the Visual Arts in 2oo6 allowed the organization to hire its first full-time Executive Director and subsequently supported the relocation of Locust Projects to the Miami Design District in May 2oo9. Local, national and international artists are encouraged to create site-specific installations as an extension of their representative work. Locust Projects supports the local community through educational initiatives and programming that are free to the public - located at 3852 North Miami Avenue in Miami, Florida 33127. The primary focus of the Warhol Foundation's grant-making activity has been to support the creation, presentation and documentation of contemporary visual art, particularly work that is experimental, under-recognized, or challenging in nature. The program has been pro-active in its approach to the field of cultural philanthropy and responsive to the changing needs of artists. 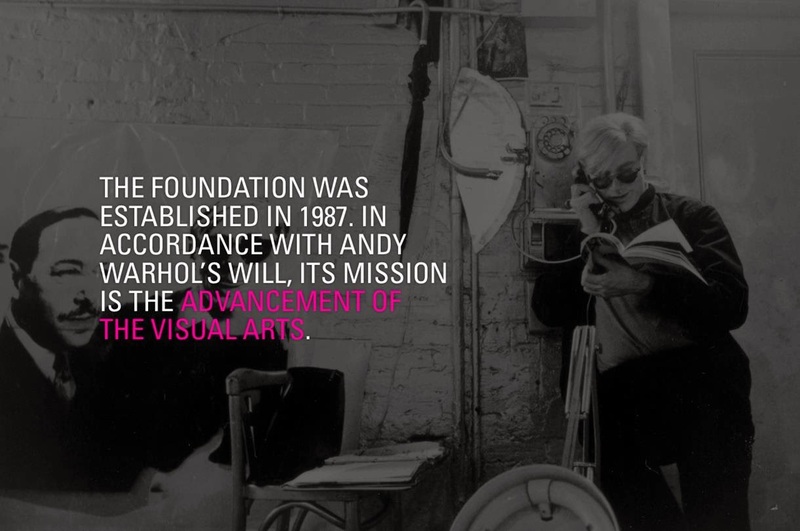 The Warhol Foundation is also considered to be the preeminent contemporary art grant maker in the country located at 65 Bleeker Street in New York, New York 1oo12. We are proud to present our 'Artist Spotlight' in the February issue of Wynwood Canvas, highlighting Miami-based artist Ileana Collazo and her current collection 'Night Gardens' - a series of seductive floral paintings bursting with abstract shapes and colors. The artist is profoundly inspired by the astounding beauty of Mother Nature, which is her muse - the colors, textures and movement all come together allowing the artist to create her ever-changing masterpieces. 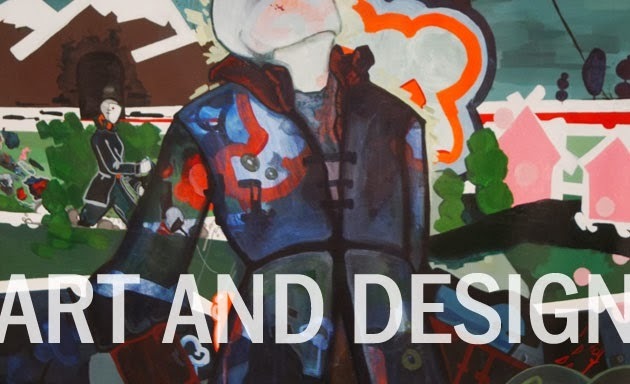 Collazo's work will be on display at Miami Art + Design (MA+D), Miami's most elegant fine art event featuring the best of American and European art and design from all periods in history during President's Day weekend, February 14-18, 2o14. Taking place in a spectacular, new waterside pavilion 'in the round' at Downtown's Bayfront Park. 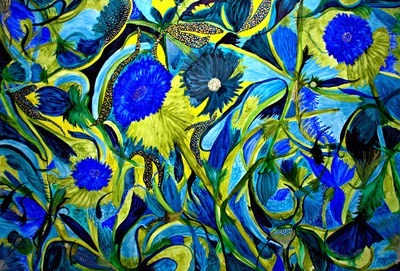 Miami-based artist Ileana Collazo's artwork is an exquisite style of floral poetry in motion. Her 'Night Gardens' collection was digitally exhibited throughout New York City this past October 2o13 during 'Creatives Rising, Art Takes New York'. Collazo also won the 7th & 8th ArtSlant Showdown Competitions. Represented by Miami Art Scene - for sales or inquiries about this artist contact Katerina Wagner via miamiartscene@gmail.com.